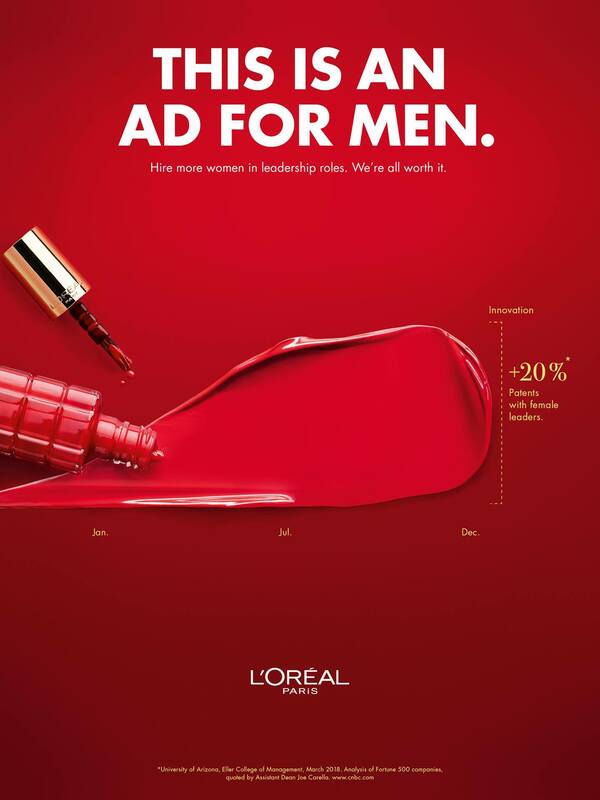 L’Oréal Paris has rolled out a series of print ads directed at men after conducting a joint research with McCann Germany on women in leadership. In the research report, findings showed how hiring women for leadership roles are “worth it”. 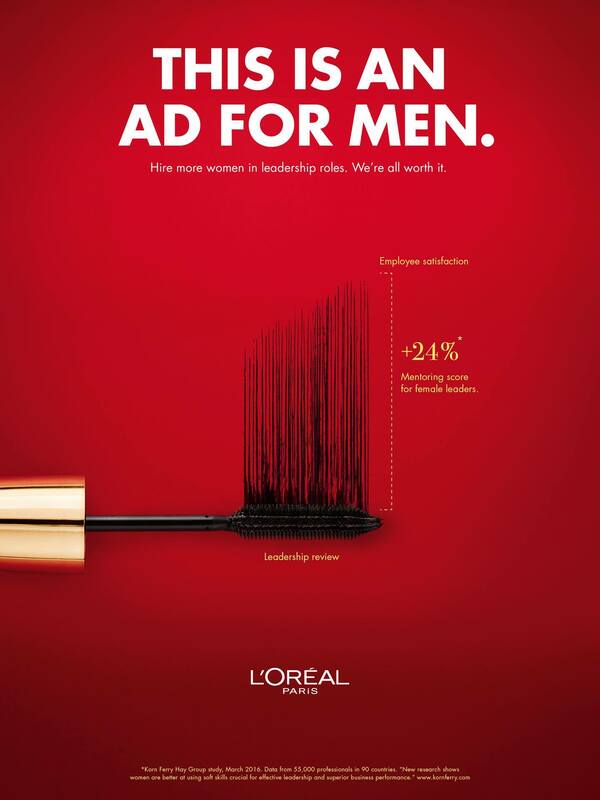 These findings were artistically incorporated into infographics that used L’Oréal products as the key visual. The inspiration behind the advertisements created by McCann Worldgroup Deutschland was revealed in a Facebook post by McCann Worldgroup after they have been “blowing up on social media”. The post has since garnered over 2,000 like and love reactions, as well as over 1,500 shares. According to the research findings, 91.4% of management and executive boards in Germany are men. However, it was found that women leaders created better results than male leaders on average. When women occupy 30% of management positions, German companies show profitability increases of 15%. Women executives perform 24% better in management reviews. Firms with more women leaders develop more innovations, about 20% more patents per year. 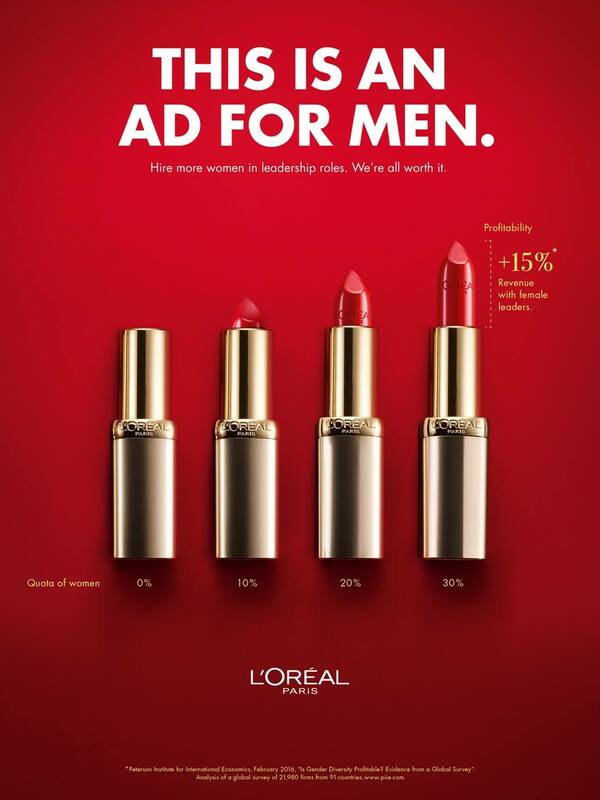 McCann Worldgroup added that the campaign is simple, but effectively reflect L’Oréal’s core belief in female empowerment. 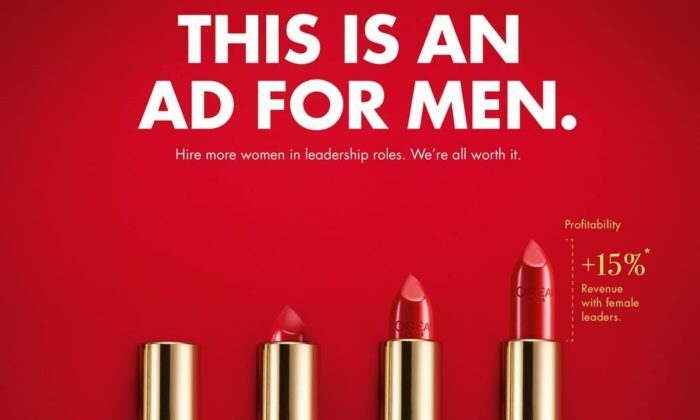 L’Oréal Germany has added women to its managing board and to corporate positions in Germany. Which brands celebrated International Women’s Day the best on social media? The merger of China's leading car-booking apps, Didi Dache and Kuaidi Dache, has created a US$6 billion group primed to take on Ub..